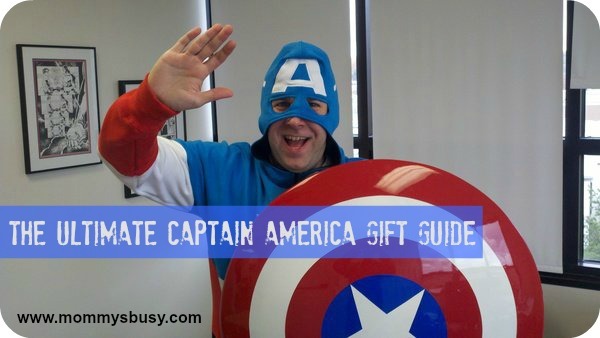 SPOILER ALERT: If you haven’t seen Captain America: The Winter Soldier yet, go do so now! 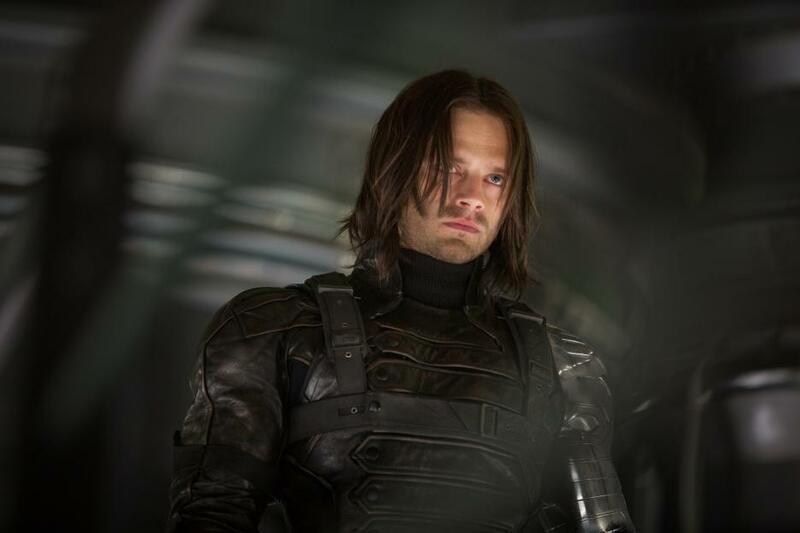 The following article reveals a few things about The Winter Soldier that you may not want to know before seeing the film. You have been warned! 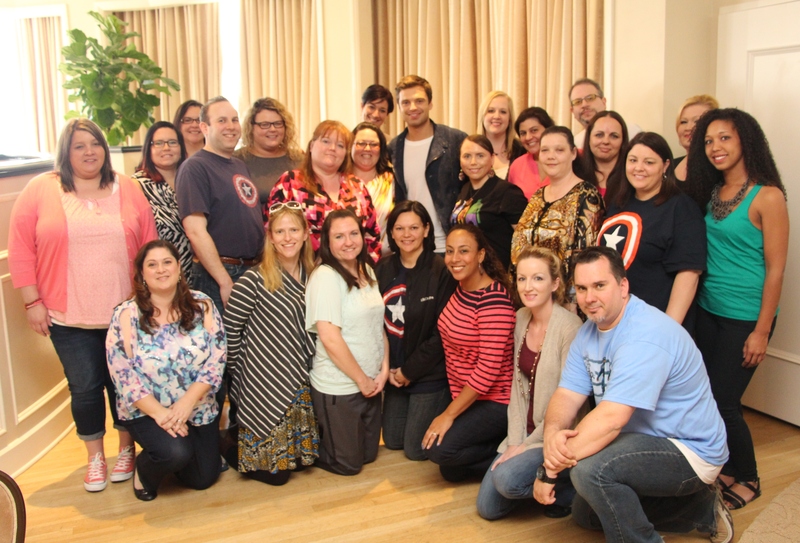 So when Sebastian Stan entered the small conference room at the Beverly Hilton Hotel last month to speak to a room of bloggers, I had no idea what to expect. Like his villainous counterpart, Sebastian was quiet and soft spoken, but that’s where the similarities ended. Friendly, humble and genuinely appreciative of his success, Sebastian still seems to be soaking in the monstrous awesomeness that follows the wake of every Marvel Studios film. And for good reason: his Winter Soldier is spot on with the comic book version. In the world of Marvel Comics, one adage has held true for more than half a century: Nobody stays dead in comics except for Uncle Ben and Bucky. Marvel shattered that one a few years ago when they brought Captain America’s long-dead sidekick back to life as the ultimate assassin The Winter Soldier. The move caused more than a few ripples in the fanboy pond, but as the story unfolded more and more, fans quickly stopped hating the idea and started loving the storyline. And now Sebastian Stan has brought that tale to the Marvel Studios Universe completing his transformation from Bucky to the Winter Soldier. It’s certainly not the easiest of roles to play, considering Bucky’s a loud, good-natured, gregarious soldier. Yeah, as opposite a role as you can think of from The Winter Soldier. 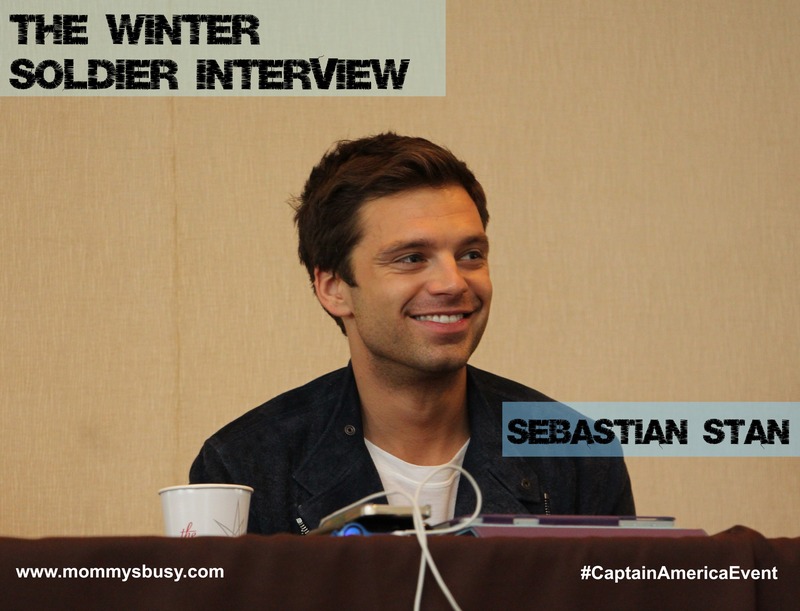 Sebastian took the time to sit down with our blogging group to discuss his casting, his return from the dead and working with a film legend. What was your reaction when you found out that you were coming back as The Winter Soldier? Sebastian Stan: I always played that moment in my head over and over again. I was probably thinking I was gonna be somewhere in New York on a crowded street, and I was gonna scream and just have this big reaction. And it’s actually the opposite. I just sort of was quiet and still. 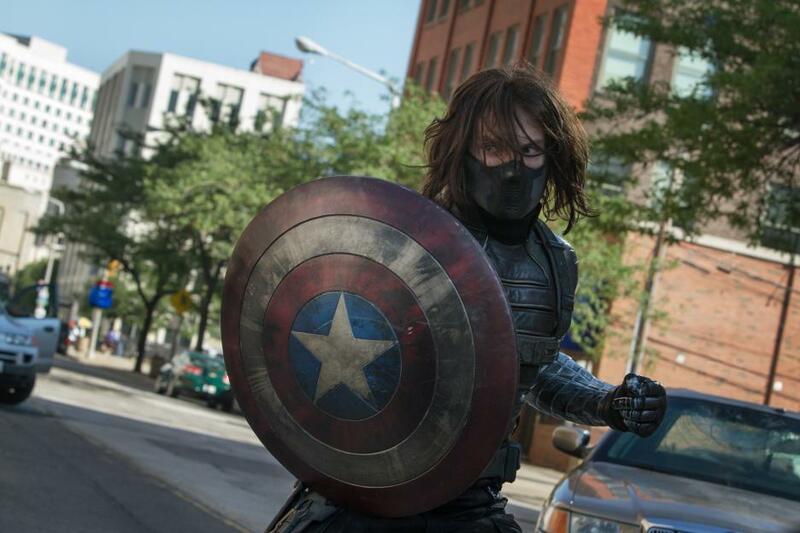 Was it difficult to switch roles from Bucky to The Winter Soldier? Sebastian Stan: Well, yes and no. I would say no in the sense that everything is so spelled out for me in the comic books that I sort of feel like I have that to follow as a guide. Yes, in that certain things from comic books often aren’t so easily translated to the screen. There were things visually that were new that we had to discover about the character. 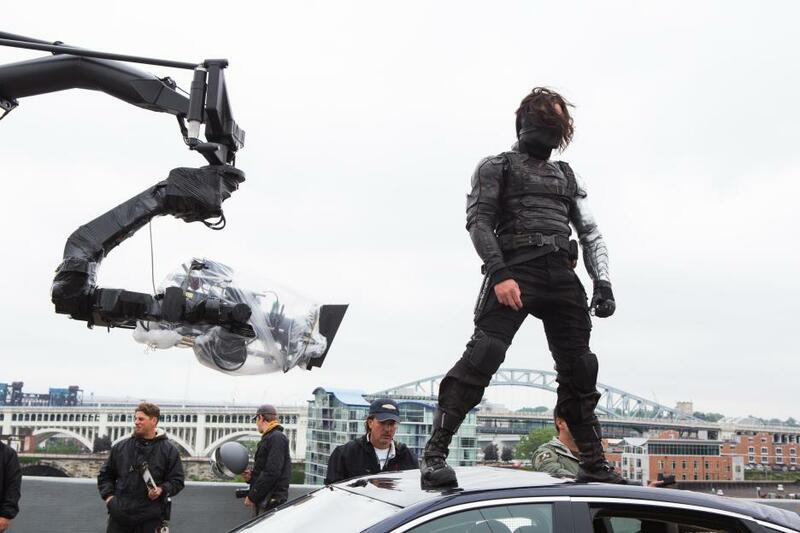 I mean in the comic books there was a lot of information but in terms of how the Winter Soldier moved, how he behaved, what his presence was like on screen, those were all things I had to discover once I was in the outfit and we were actually shooting the movie. And that was more difficult I suppose. At the end of the day the most difficult part was playing someone that’s very different while at the same time the same person. Did you have to train a lot for this role and was it tough? Sebastian Stan: Yes the training was really hard for me. I was never used to that type of training before. Some of the diet and the working out that was happening six months before we started shooting was really difficult at times. And then learning to fight is basically just like going to dance class. You just have to have patience. You see the stunt guys who are just phenomenal and you just wanna jump in and do it but the whole thing has to be so planned out and detailed. You can’t have a lot of room for errors because people can get hurt. So, just practicing that and repeating that everyday for about two to three months I’d say was hard, but the results were always very gratifying. How do you mentally prepare for a role like this in terms of playing someone who doesn’t even know who they are? Sebastian Stan: Yeah, exactly. Well, it’s funny the way things happen in life. I don’t want to get too down here but my stepdad was dealing with Alzheimer’s. And so it was interesting because while that sort of process was very painful as an observer, that was one of the things I found to be very helpful for me to observe. What their behavior is like because even though they don’t know certain things anymore, there is still that struggle within them to try and kind of know things. They respond to certain things they see or sounds they hear, a song or something kinda triggers a memory. It’s a very weird internal battle. I watched him a lot for sort of some references. Some of the things of how I was gonna sort of translate that on the screen I didn’t really know until we were literally on set. Sebastian Stan: Any of the stuff that I had with Robert Redford was pretty memorable. That’s where I really remember telling myself just be here, be present, you know. On set, it was like suddenly I was in a situation where the whole reason for me going to acting school and everything was here. I was with this man and he was being very generous as an actor with me even though he’s obviously who he is. And then off set sort of just wanting to kind of like see if there was anything I could pick his brain about in terms of people he’s worked with. That was pretty special. What is your favorite scene to see on the big screen? Sebastian Stan: I just thought this movie was so different in terms of it feeling just so much more realistic in our world than some of the other movies in my opinion. I think any of the car chases are really great. That whole sequence with Nick Fury and the Winter Soldier were great sequences. When you were first cast as Bucky in the first movie, did you know that Bucky would come back to life as The Winter Soldier later on? Sebastian Stan: I didn’t because I hadn’t read anything. And there was no script for Captain America when I was auditioning. Actually, all I really had was a scene between Steve Rogers and Bucky and I was auditioning for Steve Rogers. So, I obviously looked up things about Steve Rogers but I never looked up anything about Bucky. And when I didn’t get that part, I sort of thought that was that. I actually didn’t want to read any of the comic books or anything going into the audition process because I wanted to just have a fresh perspective. But then when I talked to them about Bucky after that, they educated me on the story. How did you mentally prepare to get into character? Do you put on the costume and you’re ready to go? Sebastian Stan: In this case, I feel like it always depends. The costume was a very big thing. Also I just looked very different. I didn’t recognize myself looking in a mirror honestly, with the mask and the hair and everything. It kind of gave me confidence. How do you stop the Winter Soldier? Just surround him by loads of adoring blogger fans! Captain America: The Winter Soldier in theaters NOW! Great interview. He sounds like he was a very down to earth guy. It’s kind of funny that he thought he would scream like a kid when he got the part. My kids really want to see this movie. I, for one, am glad the brought him back. LOL I have to giggle a bit at Sebastian’s locks though. We are so excited to see this movie and I am totally loving all the cast interviews. Thanks for the review. My husband is uber excited to see this film and so am I! My grandson read your review and he would love to see this movie. Thank you for providing some insight. Wonderful in depth interview…this is one movie my son is super thrilled about right now. I am a very big superhero comic book fan and have been since l was little. I can’t wait to see all the new movies this year. He’s adorable and played this part perfectly! I liked that he shared such personal things about how he prepared himself to play Bucky, just another form of Bucky. I loved hearing his story about finding out he was The Winter Soldier! Thanks for sharing, Andrew.